Groupon order management software makes it faster and simpler to keep track of your Groupon orders, and complete Groupon admin and paperwork with less stress and fuss. Automating repetitive and fiddly tasks helps you to focus on selling, not spreadsheets. The eBusiness Guru Groupon software automatically downloads Groupon Goods orders from your European Groupon marketplaces to review & process in one location. The software notifies Groupon when you have processed and shipped the order, with no further action required by you. As orders are processed, our Groupon software creates your invoices automatically. Our Groupon software helps you to quickly identify any inconsistencies, so that you get paid on time. Download all your Groupon invoices in a single click. See all your payments on one screen, no matter which Groupon channel the order was placed in. Identify your outstanding payments from Groupon quickly, with minimal work, so you get paid without delay. 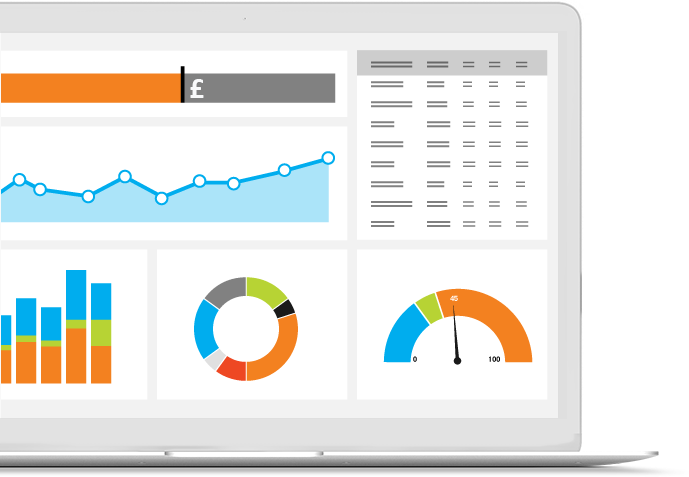 Our Groupon software includes reporting functions, so that you can Identify sales trends and the most profitable deals quickly. Forecast your sales and cashflow based to ensure you are buying the right products to get the most from Groupon. Work with all of your Groupon Goods orders from one dashboard, for all your European Groupon channels. Add new countries quickly and easily, with minimal change in your workflow, and view all your orders together or filtered, so you can get the most from Groupon. Your orders will automatically be downloaded hourly to the Open Orders screen, where it is simple to process them; the app updates Groupon with shipping & tracking information automatically. 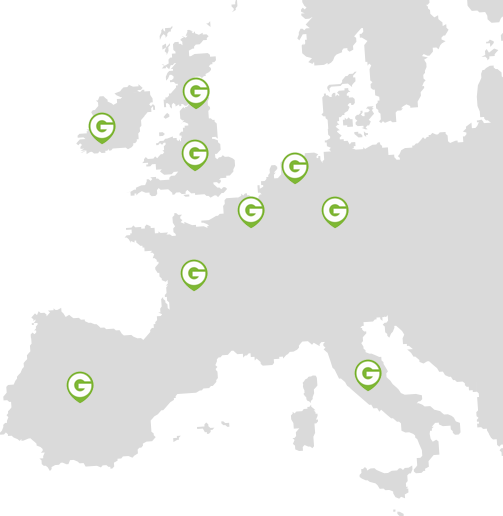 Groupon Goods order tracking information is sent directly, with no manual intervention required. If you’ve been looking for shipping software for Groupon Goods, look no further than our solution. Handle all your Groupon orders from across Europe in the Open Orders screen – you can filter and process them whichever way best fits your needs. You can use our standalone Groupon software to process your orders, or you can use the direct integration with Linnworks to process orders alongside your orders from Amazon, eBay and more than 40 other selling platforms. Automate your invoicing tasks using our Groupon software, so you can get on with running your business instead of wrestling with paperwork and spreadsheets. Have your invoices created automatically, at preset times, or when a certain number/value of orders have been reached. Automating your invoicing means no human error. With a reliable and accurate API connection, there’s no paper work required, and no delays. Just the same actions over and over, reliably. Invoices can be downloaded from the invoice panel, making preparations for seeing the accountant quick and simple. 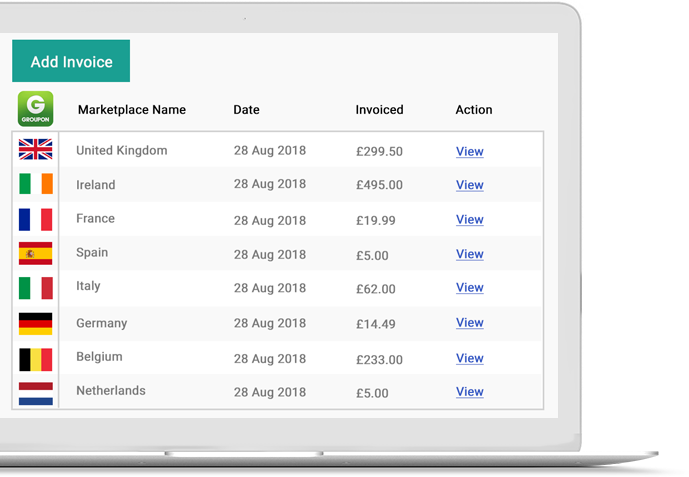 When you’re running multiple deals, keeping track of your daily invoices can get complicated, and it’s easy to lose track of what you’ve been paid for. Groupon’s admin processes can sometimes mean your payments don’t reach you in the typical 3-to-5-day window, which can impact on your business, particularly when you’re busy with your other marketplaces. 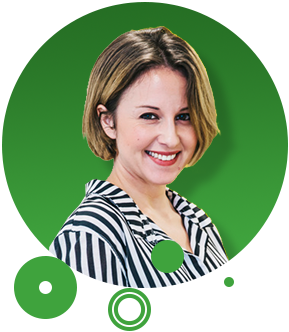 With our Groupon software, it’s easy to match your payments to your invoices and keep track of payments made and due – it’s easy to see what is outstanding, and enables you to follow up with Groupon about any inconsistencies. 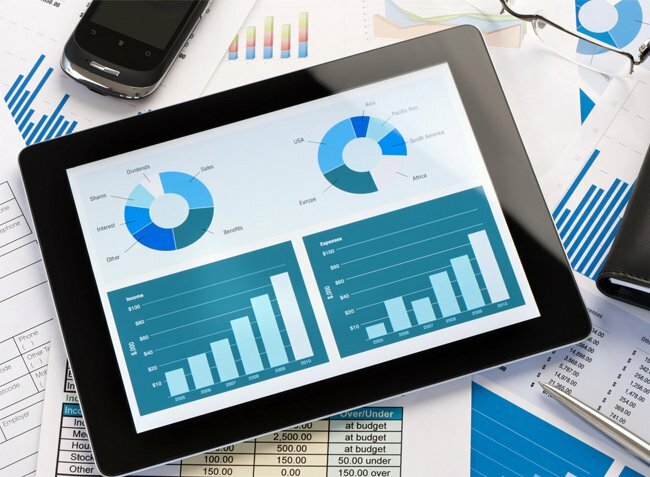 Our Groupon reporting tools are available with a single click– and our Groupon solution is the only available software with deal-wide Groupon Profitability reporting. Make selling on Groupon Goods really work for your business – effortlessly identify where you can grow your Groupon profits using our intuitive analytics. 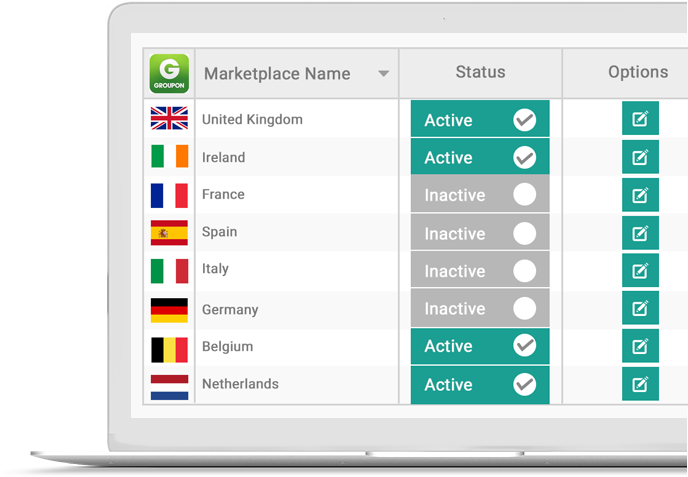 Our Groupon reporting tools are available with a single click– and our Groupon solution is that If you’re listing on Groupon across Europe, but you’re fed up of having to log into Groupon separately for each country to manage your orders, we have your answer. The eBusiness Guru Groupon software enables you to manage all your European orders in one place, with one password, wherever they were placed. And there’s no hassle when it comes to different currencies either; our software automatically deals with currency conversions. e only available software with deal-wide Groupon Profitability reporting. Take the next step to increasing your business success on Groupon. Talk to us today. Whichever field you’re selling in, our experienced team can help you combine the use of our tools with your product knowledge to help you expand into Groupon Goods marketplaces throughout Europe and improve your profits.